ARTHUR G. CLEVELAND has an undergraduate degree in biology from the University of Texas at Arlington and earned his Ph.D. in biology from the University of North Texas. He was Professor of Biology and Chairman of the Department of Biology at Texas Wesleyan University. From 1989 to 1994 he was the Armer Professor of Science and Interim Dean, Division of Nursing and Sciences at University of the Incarnate Word in San Antonio. From 1995 to 2004 he was Dean of the College of Science at Columbus State University in Columbus, Georgia, followed by the presidency of Sheldon Jackson College in Sitka, Alaska until 2006. Dr. Cleveland was the Dean of Research and Sponsored Programs at California Baptist University in Riverside, California from 2006 to 2011. 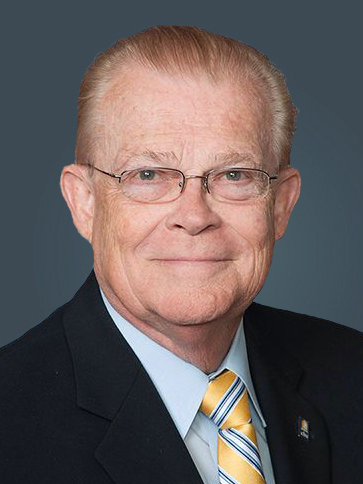 He retired recently as Vice President for University Advancement and Professor of Environmental Science at California Baptist where he was named Vice President Emeritus. He has published extensively in the area of mammalian ecology and protection of endangered mammal species. His board memberships include the Genetic Computer School in Singapore, Village Network Africa in Claremont, California and the Zungarococha Research Center Foundation in Iquitos, Peru. He has been a Member of The Explorers Club of New York since 1986. Dr. Cleveland’s association with Capital Formation Counselors, Inc.® began in 2016 as Vice President of this corporation devoted to the long-term preservation of private capital.